Designer and North Shore native Lana Bramlette of Lana Jewelry derived inspiration from architectural monuments including The Art Institute’s iconic lions, the John Hancock Center, and the curvaceous route of the Chicago River for her new collection titled CHICAGO by Lana. 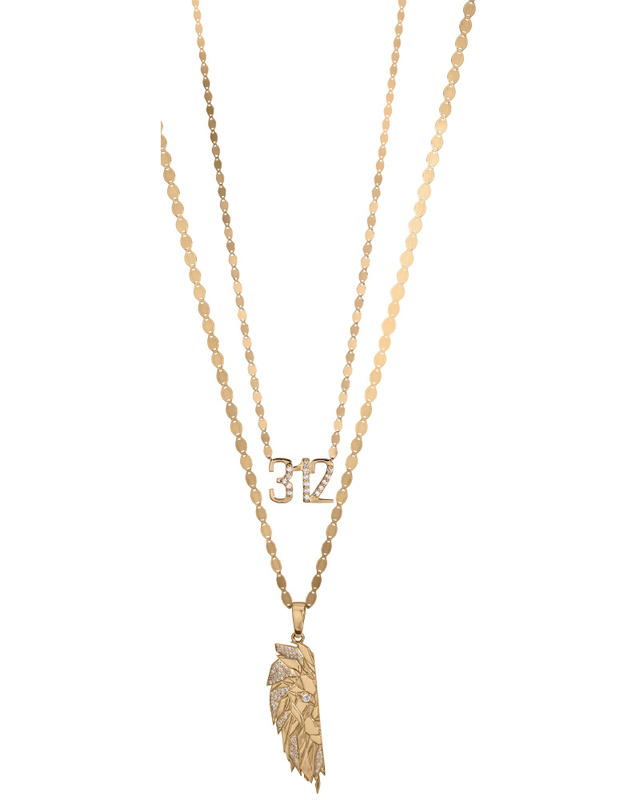 The 15 piece collection is comprised of geometric earrings, lustrous necklaces, and symbolic charms such as a “312” nameplate, and stud earrings modeled after the museum’s iconic lion duo. “I pulled inspiration from my favorite aspects of the city: significant buildings, classic parks, historical bridges, calming waterfronts, but you’ll also see design elements derived from the chaotic loop traffic, and general pride I have for my city. My favorite styles include the Loop Hoops and the fierce lion pieces,” says Bramlette. CHICAGO by Lana is available at the Art Institute of Chicago Modern Wing Shop and at lanajewelry.com. In South Africa, biltong—seasoned, air-dried beef—is as popular as potato chips in the U.S. But it’s only just beginning to get a little respect in America. South African native and Highland Park resident Kevin Drake formed the Chicago Biltong Company to spread the word—and the best biltong around. Drake’s Biltong is made from the finest beef top round, trimmed of excess fat, and seasoned with a perfected blend of herbs and spices based on a decades-old family recipe. 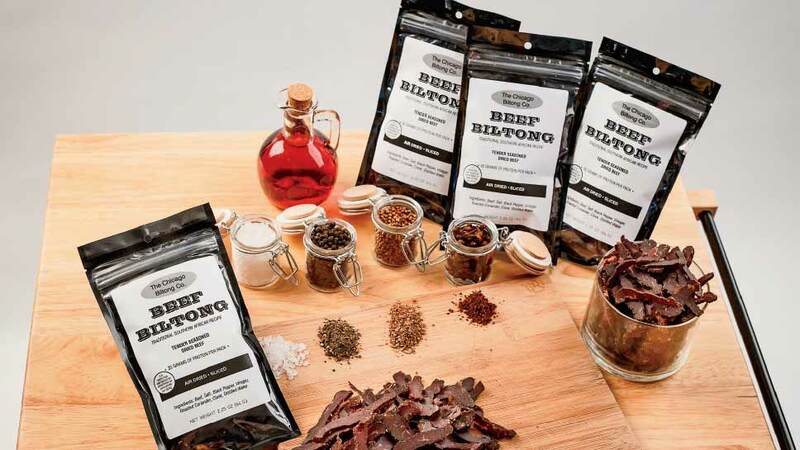 Unlike jerky, the Chicago Biltong Company biltong is tender, not leathery, and flavored with only natural seasonings—no artificial flavors or preservatives. Biltong is very high in protein, gluten-free and is an easy-to-eat, non-messy snack for athletes, students, growing teens and even little kids. In November 2018, Highland Park’s Sunset Foods became the area’s first retailer of Chicago Biltong Company biltong. It is now available online and at all area Sunset Foods locations. For more information visit, chicagobiltongcompany.com.